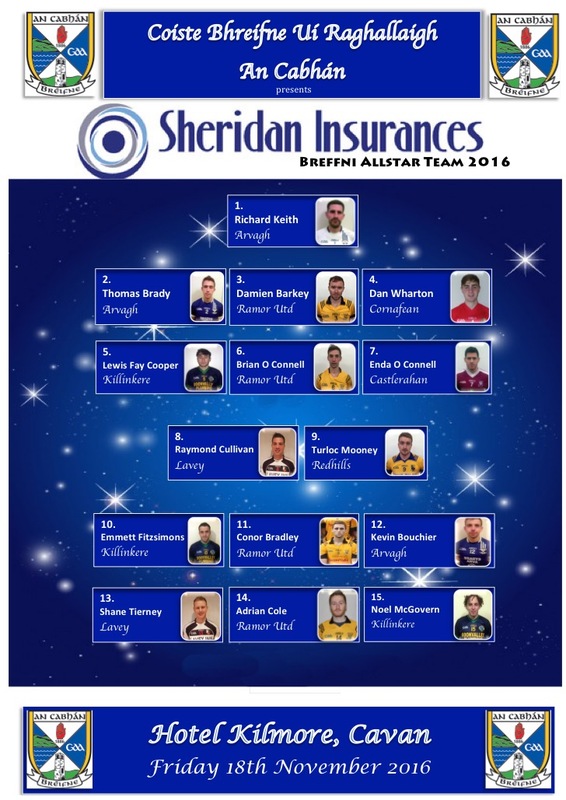 The Sheridan Insurances Breffni Allstar team for the 2016 championship season has been finalised. 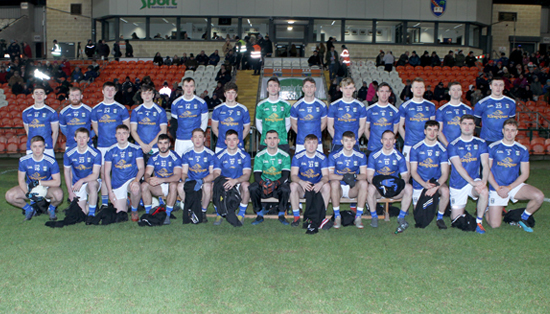 Players were chosen from games played in the Hotel Kilmore Senior and Intermediate and the Cullys Craft Bakery Junior Football Championships. Congratulations to the Allstar team and very well done also to the 45 players who were nominated. Congratulations to the Player of the Year nominees and we wish them good luck. 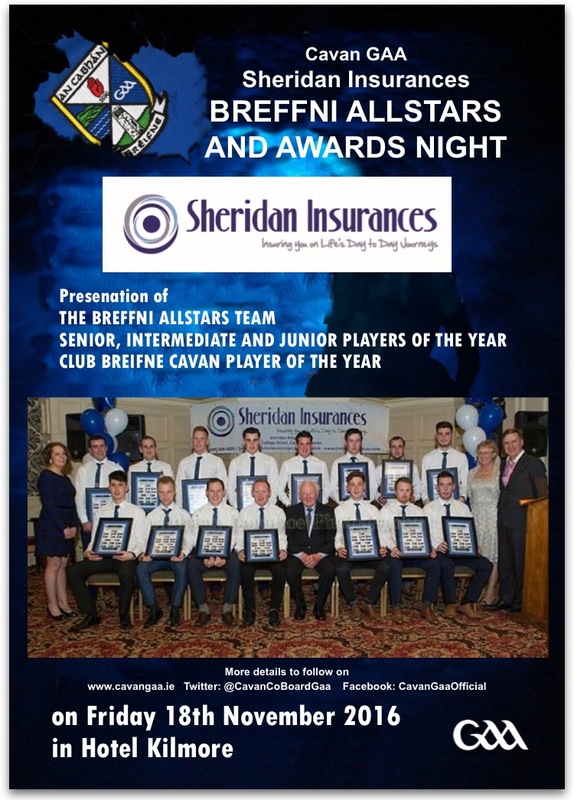 The Allstar team will be honoured at the annual awards banquet this Friday night in Hotel Kilmore. The Senior, Intermediate, Junior and Minor Players of the Year will be announced as well as referee awards, Hurling Player of the Year and the Club Breifne Cavan County Player of the Year for 2016.